car2go is the world's first free-floating carsharing service. Our fleet operates without fixed rental stations. All you need is the app. Grab a car2go anywhere in the Home Area of your city. When you're done, park it back on the streets for free1. For a low price per minute that includes everything from parking to charging, you now have a fleet of cars in the city. Romantic dates and grocery runs? We've got the right car2go and package for your needs. Parking, fueling, insurance – it's already covered. So you can focus on the more epic moments in life. Carsharing in Germany gives you all the benefits of a car without owning one – parking, fueling, and insurance2 included. Use the app to find the nearest car2go and enjoy the freedom to get where you want, when you want. The best part? 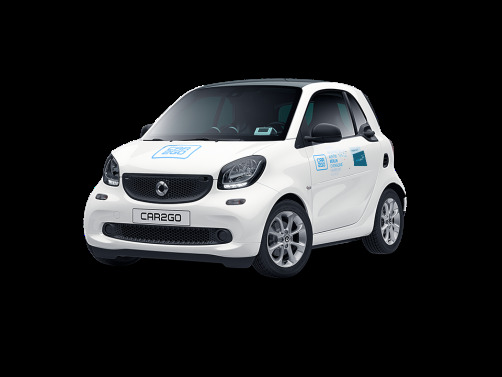 After registration, you can drive in all car2go cities throughout Europe. Carsharing is available all day, everyday. No need to worry about closing times – grab a car2go off the street whenever and wherever you want. Discover the true meaning of flexibility – when you're done with your car2go, just park it in your Home Area and get going. Our rates are all-inclusive – fueling is included and there's no need to top up the tank when you're done. Carsharing is cars with benefits – all the perks, no strings attached. Only pay for what you use. Your key to carsharing: Find, reserve, and unlock your car2go in just a few taps. All you need is the app. Need a car – this very moment? It’s just a tap away on your smartphone. The car2go app shows you all available cars nearby. Join us by registering here on the website or in the car2go app. All you need is a payment method and your driver’s license. The app is your key – literally! 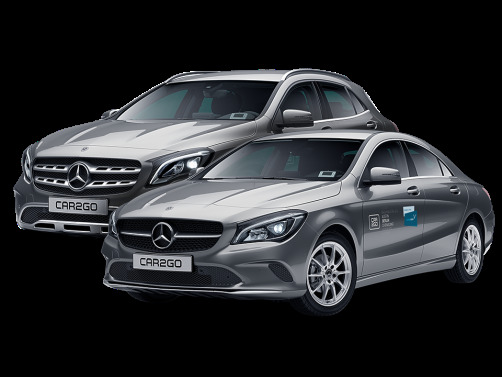 Our cars are accessed via the car2go app. Use the app to find a car2go near you and reserve it for up to 20 minutes. Simply scan your driver's license in the car2go app. When your driver's license has been successfully validated, you can start carsharing right away. Within the Home Area, you're home free. Grab a car2go around the corner and drive from point to point. As long as you park on the street inside the Home Area, you'll never have to pay for parking1. All you need is a payment method and your valid driver's license near you. Carsharing is cheaper than a taxi. The best part? You can use your car2go account in all our European locations. An airport fee applies for starting and ending a trip at the airport – check out your city page for detailed information. Grab a car2go off the street to catch your next flight. Park for free at our reserved car2go parking spots at the airport. Have a safe flight! Just arrived? Reserve a car2go from the moment you land. You can pick it up from the reserved car2go airport parking spots. How much does it cost to use carsharing? Here are the most common fees you need to know in one short list. There are no hidden costs, but don't just take our word for it. If you want to get down to the nitty gritty, which we think is always a great idea, it's all in our fee and cost policy. I'm here on business. 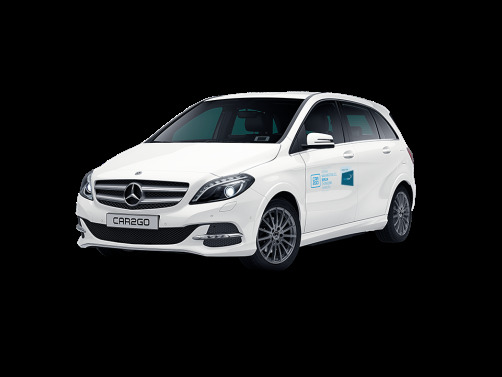 From boardroom to bar, car2go for business is our answer to the company car. Are you a company looking for a flexible mobility solution for your employees? Open a Business Account with car2go and get a monthly overview of all trips and invoices. We'll be your company car. Add a Business Profile to your account – all you need is your company's name and billing address. Filing your invoices has never been this easy. 1. In all car2go cities, special arrangements for parking may occur. Therefore take a look here on the website before you start your journey, which rules apply in your city. If you leave your car2go outside the home area, additional costs may be incurred. For more information, please see our terms and conditions. 3. The rates are subject to change depending on the car model, location and start time of your reservation or trip (whichever is earliest). You will be asked to confirm the specific price before starting your reservation or trip in the app. This only applies to trips made in app versions 3.28 and newer. 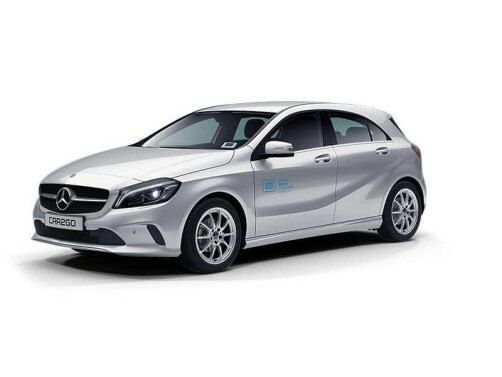 In older app versions, prices are: smart fortwo 0,26 € /min, A-Class 0,33 € /min, B-Class, CLA and GLA 0,36 € /min. 4. All prices include VAT where applicable. Additional costs and fees are listed in our fee and cost policy.